We are giddy with excitement. 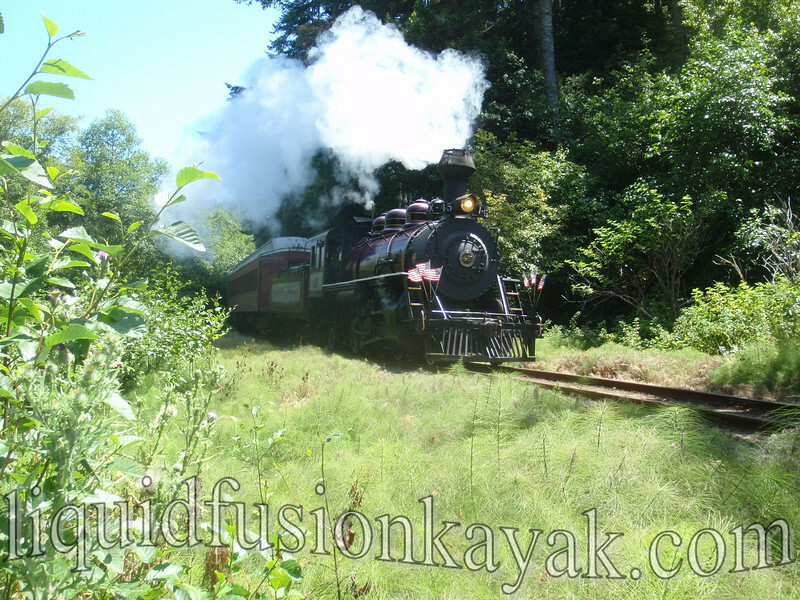 The tunnel repairs are almost complete and the Skunk Train's Fort Bragg to Northspur runs are scheduled to commence on Saturday. Jeff's favorite part of the Tracks to Kayaks Adventures is the quiet solitude of the Noyo River as he paddles up to meet the train and then getting to share peacefulness of the river with those who have been on the train. Enjoying the quiet beauty of Fort Bragg's Noyo River. My favorite part of the tracks to kayaks trip is when the train pulls away and our kayakers get to experience the quiet beauty of the river. We both enjoy seeing the Pacific Pond Turtles sunning themselves on logs along the river. 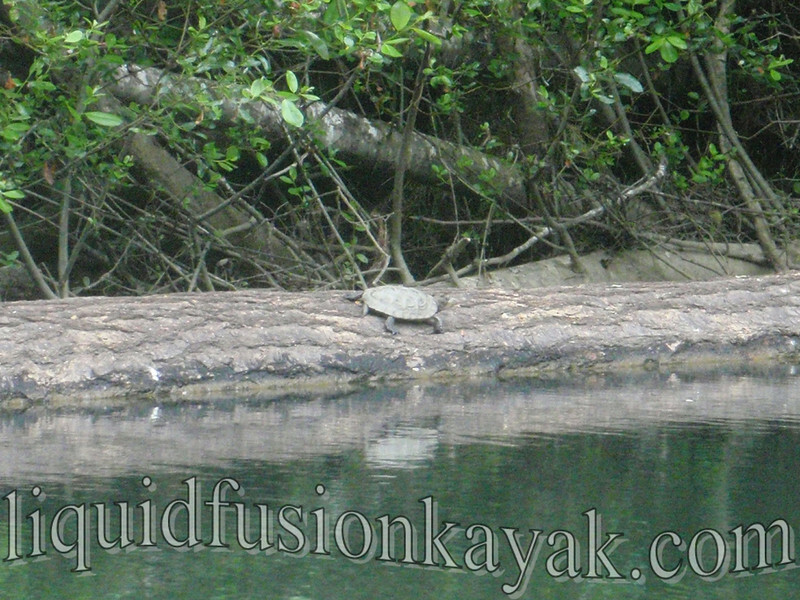 Kayaking by turtles on the Noyo River. We have 3 trips next week and 3 in September. 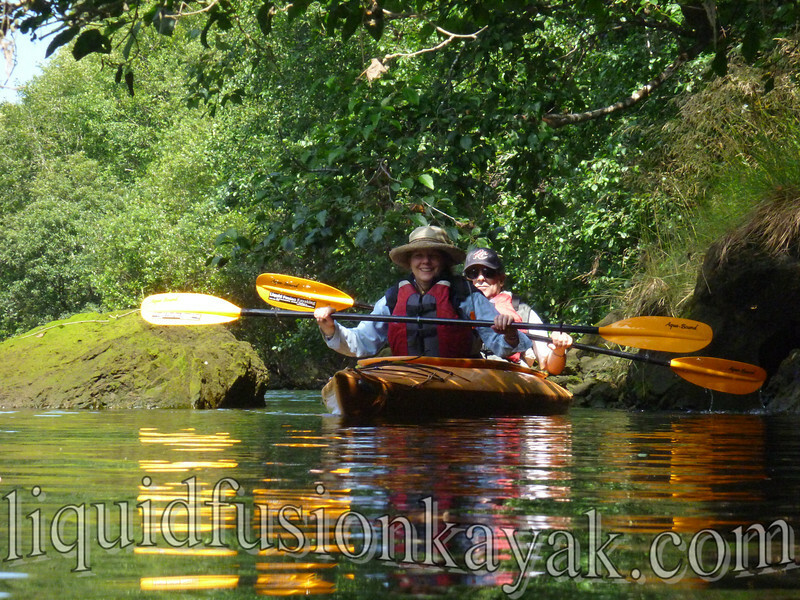 Join us for a wilderness adventure - Mendocino County Style!! !